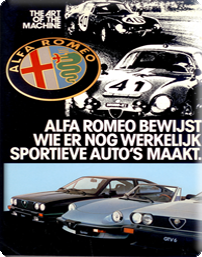 Alfa Romeo was one of the first manufacturers to put a powerful engine in a lightweight, mainstream production car. 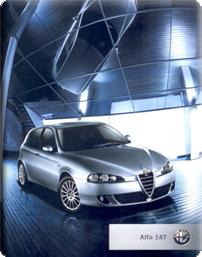 The Giulia weighs approximately 1.000 kg. 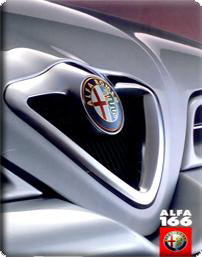 The Giulia is fitted with a aluminum DOHC four cylinder engine, 1.290 cc and 1570 cc . By adjustments, in particular regarding the carburettors, the maximum power increased during the years of productiion, to 80 and 100 hp. 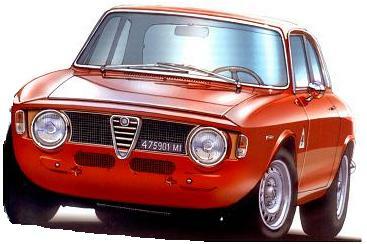 Nearly all Giulia's have a 5 speed gearbox and 4 disc brakes. 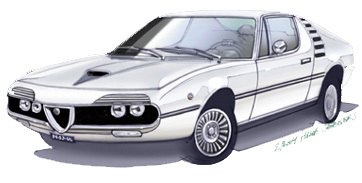 The 105/115 series coupé, aka 'Bertone' were produced from 1963 to 1977. 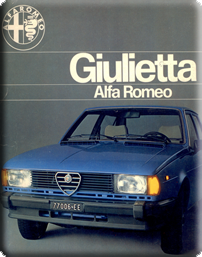 The car was designed by Giorgetto Giugiaro, who then was an employee at Bertone Stile. 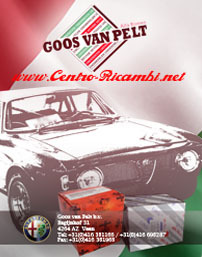 In 1968 the front of the car was restyled and renamed to 1750 GTV and 2000 GTV aswell as the 1300/1600 GTJ. The GTJ's also came in a very limited series with the special Zagato body. 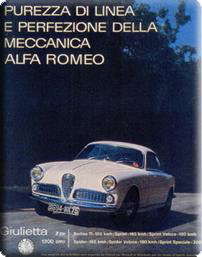 Based on the Giulia 105 series, the Spider was introduced in 1966. 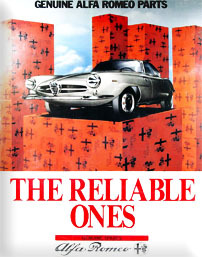 The car was designed by Pininfarina. 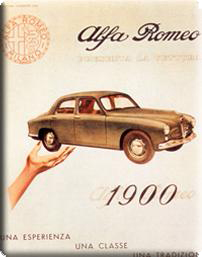 In 1967 the original 1570 cc engine was replaced by the 1779 cc version, named 1750. 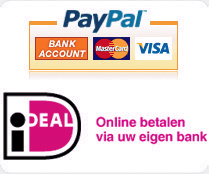 In 1970 the back of the car was redesigned; the round tail (coda lunga) became a sharply cut ‘Kamm-tail’ (coda tronca). 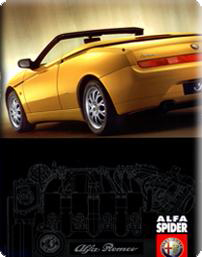 The next overhaul of the Spider took place in 1983; spoilers and plastic were introduced. 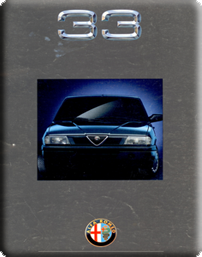 In 1990 the Spider got it's last restyling, after which production came to an end in 1993. 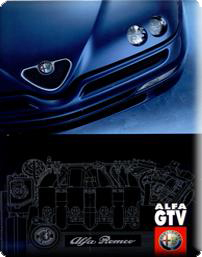 The Alfa Romeo Montreal was introduced as a concept-car during the World Expo in Montreal in 1967. 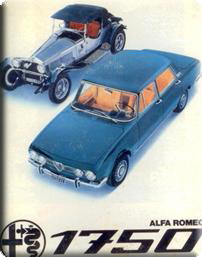 In 1970 the model went into production. 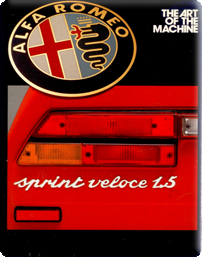 The car has a 2.593 cc V8 engine, based on the Tipo 33 Stradale engine. 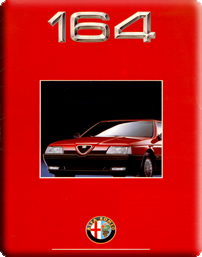 The car was designed by Marcello Gandini at the Bertone Studio. Bertone also assembled the Montreal in their own production plant. 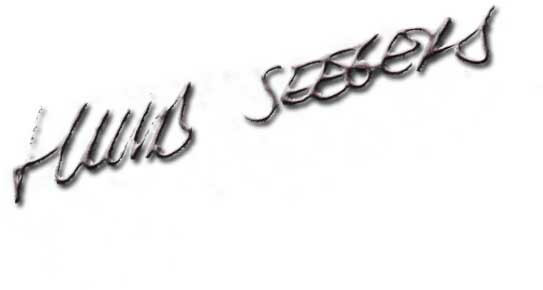 In 1977 the production ceased. In total 3.917 Montreals were produced.